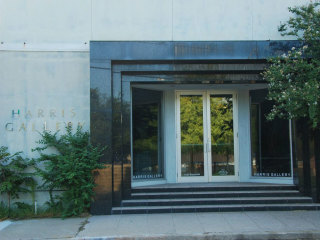 Just one block west of the Museum of Fine Arts, Houston and right behind the Contemporary Arts Museum Houston, Harris Gallery’s location makes it easy for art lovers to walk over when they’re in the neighborhood exploring the Museum District. For those who believe that size matters, Harris boasts one of the largest inventories in town of paintings, drawings, sculpture, photographs and prints from leading contemporary artists and has a whopping 50-plus artists in its stable. Within this impressive assortment are intriguing realists, including Sebastian Diaz’s exquisite studies of blooming flora and award-winning photographer Peter Brown’s lyrical color images of the Great Plains. You’ll also find compelling works from top artists like Staunton Gilchrist, Peter Brown and Mona Marshall.